Pirates of the Castle - Curse of the Black Spot! A swashbuckling dinner theatre presentation at The Castle! Name: Pirates of the Castle - Curse of the Black Spot! 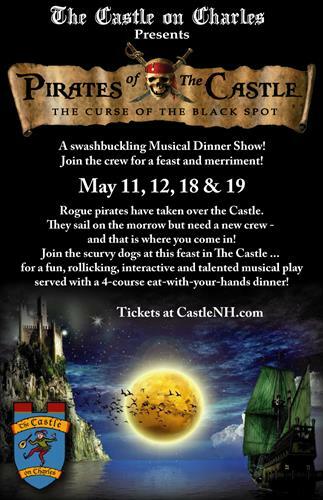 A swashbuckling dinner theatre presentation at The Castle! 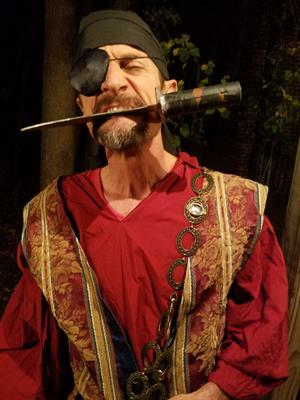 Pirates' swashbuckling musical feast at The Castle on Charles! Avast ye! La Isla de Fiasco ... early 1700’s ... a tall-masted galleon, The Black Spot, emerges from the mysterious fog. In no time the surviving rogue pirates have taken over the island's Castle and begun to pillage and plunder supplies and recruit to replace lost crew. All seems like smooth sailing - if not for a deadly curse! 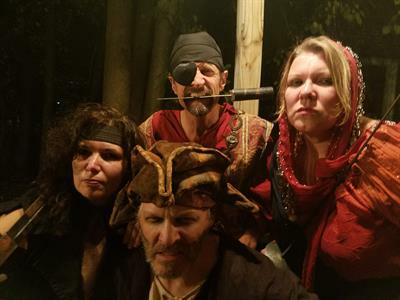 Join the scurvy dogs for feast and merriment at this interactive, musical, theatrical dinner called "Pirates of The Castle - Curse of the Black Spot." The event runs for two more nights - Nov. 18 and 25 at the historic 'Castle on Charles' in Rochester. It's a dinner event that promises to be a fun, rollicking, delicious and interactive evening - one that would shiver the timbers of Captain Jack! The tale includes a treasure map, hornswaggle, sword fighting, castle antics and assorted pirates parley that will keep everyone on their toes, with eyes on the booty! The evening is centered around a rustic and bountiful dinner that includes coconut chicken fingers and Spanish soup to start, followed by a wooden bowl of 'Ropa Vieja' or shredded beef with all the fixings, then a tropical treat for dessert. The Castle on Charles is the perfect setting with it's 40 foot tower, arches, gothic lanterns, iron chandeliers and olde-world ambience. 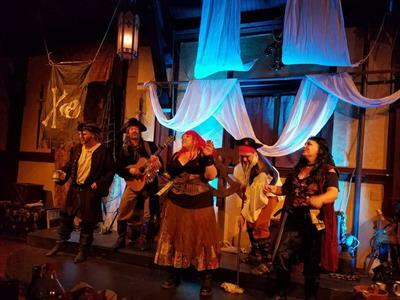 After four successful seasons of producing medieval dinner shows and many live music performances, other olde-world tales are in the making at The Castle, beginning with this pirates musical. The fireplace will be roaring and ale, wine, grog and rum punch will be available in the Tavern. So join the Captain, Flog, Brigg, Bonnie Bay and Cutthroat Mary for an exciting and animated evening - but first batten down the hatches and get ready to heave ho! Gates open @ 6:30pm - which is when the feast starts as well!